Tiny Tim embodies the stereotype of the pitiable disabled person. If you write ableist stories, you are contributing to the systemic oppression of people with disabilities or diseases. Of course, you probably don’t mean to make their lives worse, but good intentions won’t erase the damage your story does. It’s up to all of us to review our work and make positive changes. You can start purging ableism from your work by looking for these widespread and damaging tropes. Update: This post has been edited to use identity first language. 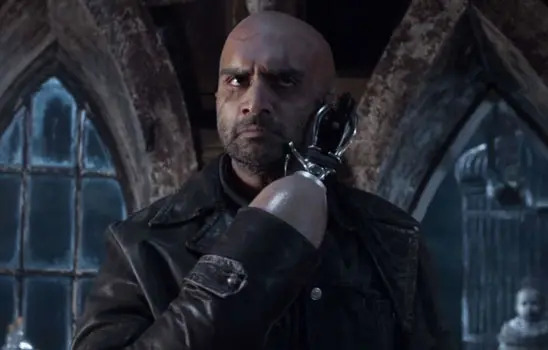 In the 2017 show A Series of Unfortunate Events, a henchman is introduced who has hooks for hands. He’s an amusing character who lightens otherwise threatening scenes with humor. Unfortunately, part of the henchmen’s comedic routine is his disability. Viewers are intended to laugh at his awkward attempts to grab doorknobs, make phone calls, and handle a deck of cards. Similarly, popular stories still think it’s acceptable to mock people for being heavy. In the Netflix series Trollhunters, the main character is a slim high schooler. His best friend Toby is heavy, and the writers constantly use Toby for fat shaming intended as humor. For instance, after the hero and Toby hop on their bikes to ride away from danger, they naturally find an alley so narrow that Toby gets stuck trying to escape. Must I explain that mocking people because of their bodies is demeaning and disrespectful? This kind of mockery not only has a direct psychological effect on the people with those conditions but also encourages real-life harassment. Even without direct shaming, using characters with similar bodies for comic relief over and over again spreads the message that they exist to entertain able-bodied people. We’ve created a cultural climate where people with short stature or obesity feel pressured to be funny. Never forget that physical activity isn’t possible for some disabled people, and high body fat can be caused by numerous diseases. Fat shaming supports ableism. And even if that weren’t true, fat shaming still wouldn’t be okay. Look for any place where you’re using slapstick humor and make sure that slapstick isn’t generated through a character’s disabilities or impairments. Then, make some of your protagonists heavy, and don’t make them funny. Give them emotional depth and an important character arc. That doesn’t mean characters with disabilities can’t make jokes or others can’t make jokes about them, but those jokes shouldn’t be both at their expense and because of their disability. In the 2009 movie Avatar, Jake Sully is driven by his desire to cure his disability. He’s a paraplegic and dreams of having freedom of movement. Because Mr. Evil Military Man promises that he’ll “get his legs back,” Jake is persuaded to be a double agent against the people he cares about. Everything turns out okay though, because Team Good can also remove his disability. Jake’s new avatar form is big, strong, and able-bodied, and it’s continually contrasted with his small and weak paraplegic body. And Jake isn’t the only hero driven to get rid of a disability. In the 2016 Dr. Strange, the titular doctor is injured, resulting in shaky hands. He goes to the far side of the Earth in order to learn magic in hopes of putting his hands back the way they were. Heroes like Jake and Strange never actually adjust to their disability or accept it. For them, it is a sign of their inadequacy. The few disabled characters with unquestionably permanent impairments are usually designed to be objects of pity. 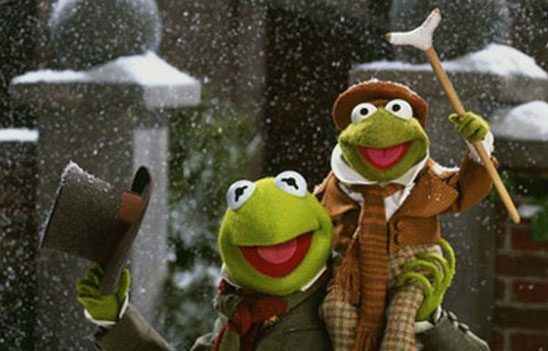 Tiny Tim from A Christmas Carol is a classic example. He doesn’t have his own personality. He exists to be an innocent and tragic figure, more like a lost kitten than a human being. That is the reality for many disabled people. They’re just people living normal lives, and they’re doing fine. They aren’t brave fighters, or sources of inspiration about the human spirit, or woobies to be pitied. Turning their lives into a tragedy is an attack on their value as people. Don’t do it. There is a place for stories about people’s struggles with disabilities, but they are best left to those with direct experience. 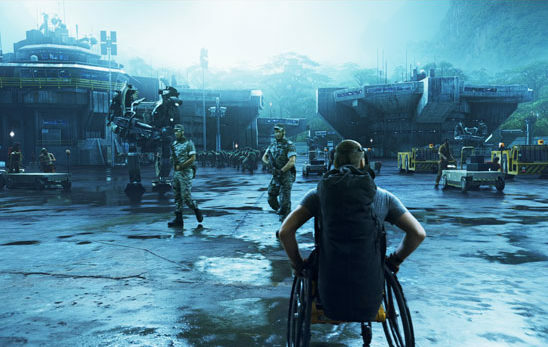 Otherwise, disabled characters should have similar struggles to able-bodied characters; they shouldn’t be defined by their disability. Instead of using the threat or continuance of a disability as a stake in your story, look for another way to motivate your protagonist. Maybe they lose their career not because they gain a disability but because their reputation is ruined. Maybe instead of a cure, they want the money to buy their way out of an unhealthy situation. Whatever you were using to make their disability meaningful can still be used, just without the disability. 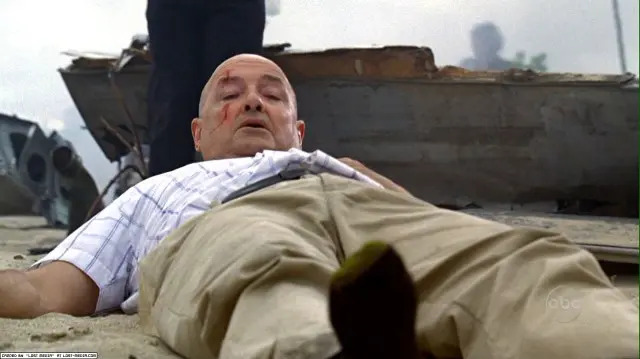 When John Locke wakes up in the first episode of the TV series Lost, he finds that, somehow, he doesn’t need his wheelchair anymore. In the Netflix Original The OA,* the series starts with a woman returning after a long disappearance. She was blind before, but now she can see. Time and time again, speculative fiction writers just can’t help converting disabled characters into able-bodied people. For your next trick, are you going to convert important characters of color into white people? In numerous shows from Star Trek to Supernatural, characters are given disabilities for an episode just to cure them before the finish. We see them grieving over how horrible it is to be disabled, but we rarely see them accept their disability and adapt to their new lifestyle. Of course, despite almost every disease being magically cured in Lost, the character with a heroin addiction is still an addict. If we admitted that addiction was a disease and not a personal failing, we wouldn’t be able to just throw addicts in jail anymore. Like other under-privileged groups, people who have disabilities get very little representation in our stories. So you might imagine how infuriating it is to watch the few disabled characters magically transform into able-bodied people. And in most cases, these characters have problems accepting their disability that are never addressed. What should be their character arc is completely abandoned in favor of just “fixing” them. Give some of your characters permanent disabilities. Start the story with them already well adapted to their disability. It can give them occasional trouble, but it shouldn’t be the focus of their character. If one of your characters acquires a disability during the story, they should keep it. Show them adapting to their new lifestyle, and then move on. Don’t make getting rid of their disability a plot point of any kind. 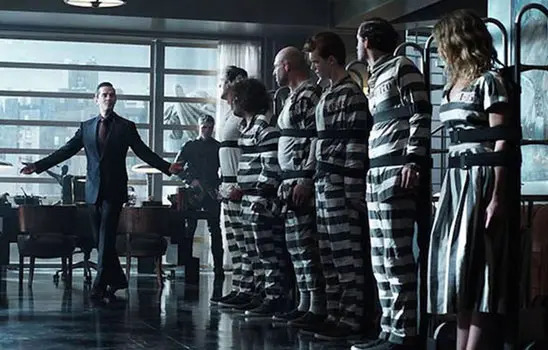 The TV series Gotham stars an impressive lineup of villains that rotate between being out on the streets and inside the infamous Arkham Asylum. This happens even though none of the villains appear to have an actual mental illness. In the city of Gotham, villainy and mental illness are considered interchangeable. And the DC universe is far from alone in using mental illness to explain away villainy or increase the threat factor its villains have. From American Psycho to The Ring to M. Night Shyamalan’s new atrocity Split, popular stories are teaching everyone that the mentally ill are violent and dangerous. Movie after movie, such as Twelve Monkeys, Gothika, and Shutter Island, feature protagonists who are packaged as neurotypical and then get stuck inside asylums. Once they’re inside, their fellow patients are just another part of the fear factor. Storytellers create a host of mentally ill characters just to put them on display in a fictional freak show. Then, despite showing how these asylums are full of rampant abuse, heroes who escape never wonder if they should free all of the genuinely ill patients who definitely aren’t getting better in there. The truth is that mentally ill people are much more likely to be physically abused by others – including the police – than they are to harm anyone else. Stereotypes associating mental illness with violence increase the chances that those with mental illnesses will become targets. Oh, and those asylums? Abuse still happens there. Unless you know what it’s like to live under the threat of being dragged away, locked up, and given shock therapy, think again before including scary asylums in your story. Break the stereotypes that link villainy with disability. Your villains can be weird or eccentric, but never frame them as “insane.” Watch out for body language or behaviors that would make them resemble people with a real condition. Then, provide some positive representation for mentally ill people. Give a protagonist a mental illnesses, but don’t use it to drive the plot. Just let it hinder them a little on the odd occasion. Mentally ill characters should have a specific medical condition that you have researched and are depicting accurately. 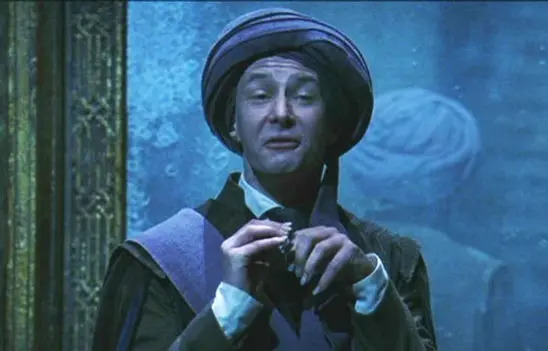 In Harry Potter and the Sorcerer’s Stone, Professor Quirrell is a shy, polite man who has a stutter. Only at the end of the book do readers learn that Quirrell’s disability was just an act he put on to make himself look innocent. And Professor Quirrell is far from alone. The famous surprise villain of The Usual Suspects pretends to have a limp. In Smallville, Lionel Luther pretends to be blind. In Buffy the Vampire Slayer, Spike pretends to need a wheelchair after he’s recovered. Then, twist! The disabled person doesn’t actually have a disability; they are an able-bodied antagonist. Sometimes heroes even get in on the fakery, as with Daredevil in the Netflix TV series and Mei in the 2004 House of Flying Daggers. Yeah, I get it, characters pretending to be disabled provides the story with a shocking reveal. But first, keep in mind that this trick only works because of harmful stereotypes about disabled people. Audiences dismiss disabled characters as innocent and incapable of mischief, both of which are demeaning. This trope reinforces that pity stereotype by making the character able-bodied the moment they are revealed to be capable and possibly threatening. And when villains do have genuine disabilities, it’s usually done for some gruesome shock factor that is equally damaging. Able-bodied people continually dismiss real disabilities. They assume the disabled people they meet are just lazy or aren’t exerting enough willpower. It’s bad enough for people with clearly visible disabilities, much less the large number of people with disabilities that are invisible. You can’t tell by looking at a person whether they will need a wheelchair. Continually parading around characters that lie about having a disability makes audiences suspicious of real people with real medical conditions. Don’t let any of your characters lie about having a disability. They can lie about everything else, but the disability should be genuine. This goes beyond the technicalities – you could argue that Daredevil is actually blind, but he is clearly pretending to be more impaired than he is. It’s also important to remember that a character who lies about a disability is completely different from a character who sometimes needs assistance and sometimes doesn’t. In the Star Wars prequels, Yoda puts aside his cane, has a terrible CGI battle, and picks it back up again. It’s easy to conclude that he was using the force to assist his body and that he can’t do that all the time. Many real people can walk for short distances but not long ones or have symptoms that vary in intensity. By including characters who have intermittent symptoms and never sowing doubt about their truthfulness, you’ll help build a positive outlook in real life. Most of our popular stories have been created by able-bodied people with little regard to the messages they send about everyone else. Unfortunately, their bad habits are easily picked up by the rest of us. Defeating those harmful messages in your own work requires research, thought, and the willingness to re-examine the tropes you once admired. You can’t spoil what’s already rotten. You seem to call out Dr. Strange for being ableist, but I would argue that Dr. Strange is a positive representation of disability by the criteria you set out. Yes, Dr. strange seeks out magic as a way to heal his broken hands when he first is injured, but I imagine many people who become disabled later in life are initially distressed by the situation, and wish to “fix” the problem. However, Dr. Strange accepts his disability over the course of the film. The Ancient One tells him he could use his magic to fix his hands, but would have to give up his spellcasting, and he decides to leave his hands injured so he can continue protecting the world against evil magic. Likewise, there is a character who is missing a hand that is shown as not being significantly impeded by that condition, despite magic being a seemingly hand-based art. I would argue the film strongly depicts anger or rejection of a disability as a negative trait, while acceptance of a disability is presented positively. Yes, that’s how I read the movie too. I was pleased it had, what I thought was, a disability-positive message. Having worked with a number of colleagues who acquired disabilities through accident or illness, this anger, denial, acceptance route appears to match with the descriptions I’ve heard. One thing that did surprise me was that some of them talked about a ‘lightswitch’ moment. Almost immediately after the accident or whatever caused the disability, they ‘knew’ something was immediately and permanently wrong (one person said ‘when I came to, my thoughts were really clear – I’ve broken my back. I’m not going to walk again. I’m disabled now.’) However, this acceptance of the *disability* itself is not the same as accepting the pain, physical limitations, social limitations, societal discrimination, medical treatment, job limitations and all the other things you have to work through and deal with because of your disability as you get on with your life. So yes, I agree with Chris – a good reason to include people with disabilities in your story is to show normal, everyday reality for a usually misrepresented section of our community. But I’d shy away from the emerging trope that’s overtaking some of the others – ie ‘well-adapted’ people live their lives as if their disability hardly affects them at all (or interrupts the plot). Seriously, if it takes a character three hours to get up and out the door every morning because this is as fast as it happens with every aid and gadget available to them – this will effect their time-keeping. If it takes them 10 minutes to get in or out of their large, adapted vehicle *every* time – this will have an impact on your plot. If they are in near-constant pain and have to rotate medications that have different side effects – this will impact on their moods and physical abilities. It’s not enough to throw in a token character with a disability only to have them behave like an able-bodied person. This just sets up more unrealistic expectations for people with disabilities to battle against. Like Chris said, don’t include a character unless you’re basing it on a real person’s lived experience – and there are plenty of people out there very willing to be heard and share their stories. Right after the movie came out, I read a disability blogger who really liked Doctor Strange, because he has an arch that lots of people go through in real life. He’s in an accident, acquires a disability that stops him from doing something very important for him, gets depressed and desperate as a result, but eventually finds new things to do, reaches acceptance, and is happy again. Normally in movies this kind of story ends with cure or death. I agree. During the movie, I almost waited for the moment when Strange would get miraculously cured – not that much of a problem in a movie based around magic -. but he never was, he just accepted it and learned to work with his hands as they were. Relating to #5, it also makes it harder for people who are “not disabled enough.” By which I mean people with disabilities who use aides, but many would consider that they’re not really disabled because it’s not to a certain degree. For example, there was a picture circulating twitter a few years back featuring a woman in a wheelchair getting up to grab a bottle of alcohol off a store shelf. Many people mocked her (including George Takei, which reduced his awesomeness in my book) and implied that she wasn’t really disabled because look! She can stand up on her own! Clearly she’s only using a wheelchair because she’s too lazy or is gaming the system! Except that it’s possible that, while she can walk, it’s incredibly difficult for her. Disabilities like muscular dystrophy or brittle bone disease can make walking hard or even painful to the point that using a wheelchair is faster and less taxing on the body. I’ve even heard from some people that they prefer wheelchairs to walkers because they’re easier to move around in. Adding to #1, I think if a character is joking about their own disability it’s fine. Like when Joker comments that it wouldn’t be a good idea for him to dance unless Shephard likes the sound of cracking bones or when Maysoon Zayid says she’s like Shakira meets Mohammad Ali in regards to her Cerebral Palsy. Also, I’d like to add to this list “Disabled Characters Who Inspire by Overcoming their Disability.” Which… you could include a lot of films featuring disabled or deformed characters. The late Stella Young made an excellent speech about why this is bad, but to sum up it paints disability as inherently miserable rather than limitations set up by society and implies that those with disabilities just need to be more positive (“No amount of smiling at a flight of stairs has ever turned it into a ramp,” Stella notes). – You’ve conceded that Daredevil is actually blind, but that he’s still lying about being more disabled. I’d argue that revealing his ability, given his physically blind status, would reveal him to be super-human, which has in-universe consequences beyond social justice. There is justification for that character to keep a secret, since it’s an integral part of a superhero’s secret identity (and safety of his loved ones). – I’d argue against 12 Monkeys being on the list, too. For one thing, the depiction in the movie clearly points out that the patients are being mistreated, rather than glorifying the Asylum. Secondly, there’s nothing the protagonist can do to help them; both because it’s in the unchangeable past, and because he’s physically incapable of helping them in any way. Finally, the one character who is demonstrably insane turns out not to be the villain, who is in fact a well-educated man. I also don’t think speculative fiction fixing disabilities is inherently bad in general, tho it can be a misused trope. The comparison with changing a character’s colour lacks the implication that disabilities disable people; if your world’s technology can fix disabilities, wouldn’t it? “Don’t let any of your characters lie about having a disability.” I would push back on this one a little, as there are some narrative applications that don’t automatically make a negative statement about disability. For instance, an antihero lying about a disability for some kind of personal gain, only to discover that keeping up the act is a much different experience than expected, learning some valuable life lessons in the process (perhaps via other characters who actually have that particular disability). I agree that lying about having a disability should be AVOIDED, as there’s absolutely the potential to send a bad message, but I think a good and careful storyteller can incorporate historically problematic story elements in a way that doesn’t come off as harmful or thoughtless. Well most rules have exceptions, and I’m not going to say for certain that this rule doesn’t have any. However, I think even in the example you gave about an anti-hero, at best you could say that the story has positive messages that offset what are still harmful messages. Regardless of what the anti-hero learns after they decide to fake a disability, their choice to do so still inadvertently sends the message that faking disabilities is a thing that people commonly choose to do. It still makes people suspicious that those with disabilities could be faking it. If you have a character you want to teach these lessons to, why not just give them an actual disability? That way you are giving people with disabilities representation as well. At the very least, this is one of those things that should probably be avoided by able bodied storytellers. If there’s value to be find in it, it’s something writer with a disability should discover. Lost has an interesting case when it comes to mental health with Hurley, because at first glance he looks like one of those people who thinks they’re crazy because they have psychic abilities – seeing dead people in his case. However, part of the reason Hurley is so quick to put his visions down to mental illness is that he also has preexisting mental health issues that have nothing to do with that – depression and an eating disorder – which bug him to varying degrees through the course of the series. Meanwhile, the hospital where he spent time was competently run (very so indeed by the standards of TV), and it’s clear that Hurley benefited from being there. Thanks for this. I haven’t personally experienced it, but one thing my psychologist has been giving as a scenario multiple times is, “Aspergers, isn’t that what that kid who shot up that school had?” or the like. Doesn’t help that “autistic” is commonly used as synonymous with “stupid” online. So I’m glad there are people who address the myth that mental conditions imply violence. I think Netflix’s 3% does a pretty good job avoiding these tropes–it kind of seems like they had them in mind while writing. There is a character who is paralyzed from the waist down due to an injury, but he is past the initial shock and has accepted his situation. He is very impatient and frustrated with people who pity him and assume he must be desperate to be ‘fixed’ with advanced medicine, as well as people who underestimate him. Editor’s Note: I removed a comment because it denied the existence of people who do not want a medical solution. We are happy for people to disagree with us, but we will not put people in a position where they need to defend their own existence. Don’t know if this person had a specific category of disability in mind, but for a bit of my personal perspective: I’m fine with being autistic. It has its downsides, but it also has its perks. I’ve seen way too many anti-neurodiversity trolls who talk about people like me as soulless shells covering up the “real person” underneath. For number one, my mind immediately went to Shrek. This is a movie about looking past physical appearances to see true beauty on the inside, so why all the short jokes about Lord Farquaad? And he went beyond just being on the short side — he appeared to have clinical dwarfism, which falls into the uncomfortable “Depraved Dwarf” trope (http://tvtropes.org/pmwiki/pmwiki.php/Main/DepravedDwarf). Yeah, I know it’s a cartoon, but in the musical, he’s literally played by a guy on his knees. For number three…Grandpa Joe from Willy Wonka. Screen Junkies calls him a con artist, and considering that the promise of chocolate is enough to get him on his feet after twenty years of supposedly being bedridden, you kind of have to wonder. On the other hand, I’m not sure I’d put Tiny Tim on this list. The tragic part wasn’t that he walked with crutches. The tragic part was that he was literally going to die if he didn’t get medicine. For the longest time, I’ve been wanting to write a post-apocalyptic novella about a survivor crew of all people with disabilities and/or abnormalities, both physical and mental. Something about the nature of their conditions driving them to help one another – not that their conditions make them heroic, but that they’re the only ones who really GET that cooperation is the best survival tactic, and who really get each other. Not sure how I’d set up a conflict, though. It certainly is over portrayed, but many people do want their conditions gone. Some even want to die. I have a mental illness, and I’d love if that went away. So it seems to be more the issue of being too ubiquitous. I definitely agree mental illness is stigmatized too much. However, it is important to note shock therapy is a legitimate treatment that can be beneficial. What do you think about characters like Long John Silver as representation for people with disabilities? On the one hand, he’s well adjusted to living without his leg, he’s a well-rounded character with his own drives and ambitions independent of his disability, and he’s charming and weirdly virtuous in his way. On the other hand, though, he’s a villain and the only character with a disability in the narrative. Plus he’s often considered one of the origins of the “Evil Cripple” trope. Would he be more acceptable if there were other characters with disabilities, or is giving your villains a disability something to avoid altogether? Does it make a difference if they’re an Anti-Villain or a Noble Demon or something like that? Unfortunately I’m not familiar enough with Long John Silver to analyze him specifically. In general, you never want to make your villain a member of an underprivileged group unless 1) you also have a protagonist that represents that group and 2) the villain is not emphasizing a stereotype of that group. So if Long John Silver is following the “Evil Cripple” stereotype (or is the instigator of it), I wouldn’t do it even if one of the protagonists has a disability. But that doesn’t mean your villains should never have disabilities. For Anti-villains or what else, it’s the same deal, just to a slightly lesser degree. Going off what you said, I feel like Darth Vader is a good example. He uses a mobile life support system and prosthetic limbs, but those are common in Star Wars. Luke himself gets fitted with a prosthetic hand, and Vader isn’t portrayed as a stereotypical “Evil Cripple,” since his cybernetic enhancements make him a physically formidable foe. As I recall, Long John Silver wasn’t evil due to the loss of his leg. He was a hugely complex character who made certain characteristics iconic for pirates in literature (like the talking parrot and the “peg” leg, though he didn’t wear one). It’s sad that he was used as an excuse to vilify people with disabilities, because he was really not too different from Barbossa (Pirates of the Caribbean). He was a villain because he used Jim Hawkins as a means to get Flint’s treasure, not caring who he had to betray to achieve his goals. He also had redemptive qualities in that he became Jim Hawkin’s mentor and surrogate father figure, and the two actually parted on sort-of neutral terms (Jim forgave him and wished for him to have a peaceful retirement). His wife was of African descent (presumably one of the early interracial couples in literature?) and he was loyal to her, wanting to get Flint’s treasure so the two of them could retire in comfort rather than be parted while he worked dangerous jobs at sea. As a character he was actually a great example of someone who was well adapted to being alternately abled. He was described as “hopping around like a bird” (or something to that effect) with his crutch which he maneuvered very dexterously with, and throughout the story he was someone whose ability as a seaman was not to be questioned (missing leg or not). He was very nonchalant about explaining how he lost the leg, but because he’s so duplicitous you have to wonder if that’s how it really happened. Not once do I remember him being sorry for himself or whinging about his lost leg (though I think he played up the “crippled” bit if needed to put people off their guard). Personally, I love his character design because he was allowed to be a complex and capable person who just happened to have one leg. Villains can only be straight, cis, white, Christian, physically and mentally healthy, males between the ages of 16 and 50. All gay, trans, non-white, non-Christian, disabled, mentally ill, female or otherwise non-male, young, or old characters must be good. True, that makes it easy to pick out the villain. Since it’s also expected that a story include one of every possible group, there’s only room for one person who could possibly be the villain. And true, that makes it next to impossible to have a story only about women, or only about Buddhists, or only about disabled people, because none of them can be a villain. They did Black Panther wrong: N’Jadaka should have been a good guy, and Ross had to be the bad guy. What was Ryan Coogler thinking, to allow a black villain? It sounds ridiculous when you put it like that, doesn’t it? Insisting that someone of any particular category can never be the bad guy is not empowering to the people of that category ; it’s demeaning. I fit several different categories that by this reasoning “should” always be only good guys, so I think I have some standing to say this: what’s really empowering is seeing people like me depicted as just PEOPLE, in all their variety, which can include being villains, heroes, and “Bystander #3.” Doing otherwise is looking only at the category, the disability, the race, the gender, whatever, instead of the person. It’s doing what it pretends not to be doing: treating “those people” differently. Just because there won’t be any stairs in my secret island base doesn’t mean I don’t want one! Sigh, I think this is a misunderstanding. The article says that a villian shouldn’t be portrayed as a villian BECAUSE of a disability or being of any other minority, NOT that a disabled person or someone of any other minority could never be a villian in a story. I’ll be perhaps too generous to your views and assume a few people do believe that anyone from a minority group should never be portrayed as a villian. However, I don’t believe that and most people don’t believe that either. Again, the problem only arises when villiany is supposed to be because of minority status, or minorities are DISPROPORTIONATELY portrayed as villians. Yes, unfortunately, due to pervasive discrimination, creators probably have to be even more careful and sensitive than normal when writing a minority – but that doesn’t mean it can never be done. In one of my story projects, there is a villain with a disability, but it has nothing to do with her villainy. The villain is from a fallen aristocratic family who have resorted to cannibalism, robbery, inbreeding, alcoholism and brutality. Their last living member is regionally known as the ‘Ogress’. Having no parental admiration of her own, she smothered her own children in order to receive great love and affection from them. But she is jealous of their growing individuation and plots to cannibalize them as a way of ‘returning’ them to her womb (she’s more or less a Jungian/Freudian Villain). 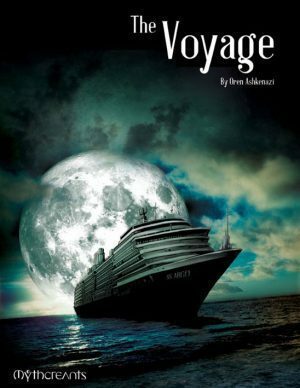 Her kids runaway from her and go their separate ways, but one by one she hunts them down, but one daughter of hers finds herself an uncanny lookalike (the protagonist of the story) and so tricks her Mother believing the lookalike is her actual daughter. The Ogress crime is not her madness, but her refusal to let her kids grow up. She’s the Jungian archetype of the Terrible Mother. Also, there is another Mother (the protagonist’s mother to be precise) who also suffers from the same smothering behavior, and is diagnosed with Borderline Personality Disorder (the Ogress is her Shadow Self), but she grows as a character, accepts her daughter’s autonomy/individuation and rescues her daughter from the Ogress. I’ve been following the blog for a little while now and I have to say, I love how you guys always include a “How to Fix It” section, especially with tough topics like this. I know finding a Sensetivity Reader is another way to go, if you can manage it. Are any of you familiar with Sand dan Glokta from The Blade Itself by Joe Abercrombie? How do you think he holds up as a disabled character? Sensitivity readers are helpful, but screaning your own work first is going to be better all round. I’m autistic and I would be up for doing that for someone right up until the point where they had an obvious trope like the ones listed above and wouldn’t feel up to reading through it cause it would be too upsetting. Evidence of basic research into harmful portrayals and an effort to avoid them would be essential for me, and I wouldn’t be surprised if other people felt the same way. I actually very much identified with Dr. Stranger’s desperate search for a “fix”. I suffer from ADD, general anxiety and depression. I have come to accept these conditions, and their effects, because I must. That said, and acceptance aside, I would rather I were different and would not hesitate to be fixed if such were possible. Indeed, if I thought that an actual cure were possible, I would desperately pursue it myself. I think if you’re writing a character who just got a disability, it wouldn’t be unrealistic for them to try everything in order to get rid of it again and make everything the way it was before. If the story arc includes them eventually realizing that they will have to live with the disability in the future and adjust to it, it should still be a good story. While I agree with your points about villainy — I suffer from a mental illness, schizoaffective disorder, bipolar type — I have a villain in one of my stories who is only half a villain; he suffers from multiple personality disorder and while one of his personalities is the story’s villain, the other personality is actually a decent person, albeit very eccentric. (His villainy doesn’t truly stem from his disorder itself; rather, it stems from the grief stemming from the traumatic event that preceded his breakdown earlier in life.) I also have a hero who is, like me, bipolar, and who is searching for a technological “cure” for his affliction (but who does not find one, and who eventually learns to accept himself for who he is, the way he is). I think this balances out. It’s been my experience, going through mental illness myself, that there are days when I would give anything just to be “normal” like everyone else, and it’s also been my experience, having a brother who suffers from full-blown schizophrenia, that we mentally ill folks can, when circumstances arise, be quiet villainous at times, even to those we love . . . even though we can do little to help it, and it’s not really our fault, in the end. That’s why I wrote the book I did, to show this struggle, and to hopefully get across that message. So I hope that eventually comes through. Maybe I succeed, maybe I don’t. But I do think these sorts of messages need to be taken into account as well when you’re talking about what messages a text sends. This is such a joke? Of course they wouldn’t feel like a whole person–they’ve lost something they thought was integral to themselves. When someone’s self-concept is changed they will do anything in their power to set that right. If you really want to nitpick about examples there was the grandpa in spy kids 3, come on guys that was low hanging fruit! Thing is it is actually true in the real world that not everyone wants their disability cured – or regards their condition as a disability in the first place, and thus “cured” as a meaningful concept. It *is* much more common for some than for others (far more people are ok with being deaf than blind or paraplegic, as far as I know). The only problem here is that Chris simply suggests that the only way to avoid curing a disability being ableist is to not do it. That seems, frankly, extremely weak and unrealistic, and a bit sad next to the more nuanced and thoughtful answers to other questions. I noticed in another article he labeled a story which included a character getting a disability cured as ableist as well, but without any context, it seemed like a rather unsupported claim. Personally I have two disabilities and would happily get rid of them, as one has upsides, but nowhere near the downsides, and the other is purely an unpleasant, declining condition. The idea that a show couldn’t portray disabilities like mine being cured without being ableist seems rather insulting and demeaning to me in some way I find hard to define. I have a “legit” disability. I use a wheelchair because of an accident years ago. If I could do anything about it would “fix” it. However…. I feel like a whole person. I’m not incomplete or broken or anything like that. I’m not “reduced” to using a wheelchair, I’m just using a wheelchair. I do move around and do things on my own, I just do it in a wheelchair instead of walking. There’s a lot of things where not walking just isn’t that big of a deal. I think it would be very difficult to write disabled characters well if you do not have a disability or at least do a lot of research instead of writing about how you think you’d feel if you were disabled. You should google Nitro Circus and Wheels (i can’t remember his slave name, his mutant name is Wheels). I did find a good example of a falsely claimed disability in the series Pretty Little Liars. There was a character who was blind (actually blind), who received a transplant operation intended to cure it. She pretended the operation hadn’t worked when it (partially) had – but the reason for the pretence was that she’d seen something she wasn’t supposed to, but because the party she’d seen had thought she was blind, wasn’t concerned – and she was afraid that if it got out that she could see again, it could get her killed. (She was also right – it would have done). In the end, the cure was only temporary anyway. This was a good post, I recall reading a post written by someone with a disability about how to write jokes in regards to disabilities with the writer noting one joke they and apparently everyone they met with a prosthetic hand had made at some point was the “Can you give me a hand” (Passes the person their prosthetic) joke and citing it as an example of positive humor involving a disability. I think, though obviously cannot speak for others, its because of agency. What do you mean atrocity? Split got goo reviews, did you guys even see it? It was only entertaining if you could overlook the atrocious stereotypes it perpetuated about the mentally ill. Reviewers generally are uninterested in critically examining (or even mentioning) the assumptions underlying a work. The same goes for viewers. But not consciously recognizing a dangerous stereotype doesn’t mean it won’t reinforce your biases. And saying “it’s just a story/it’s just rhetoric” or otherwise pretending that an idea isn’t harmful doesn’t mean people won’t be hurt. We can’t use a work’s popularity to excuse its message, popularity may just show that a dangerous idea has reached dangerous levels of acceptance. Hitler’s speeches had raving reviews, and that is exactly what made them so dangerous. Reinforcing the idea that the mentally ill are violent isn’t as destructive as blaming the loss of a war on an ethnic minority. But the difference is a difference of degree, not of type. I am a disabled woman and a student of literature and cinema lover, and I find this piece of writing really interesting. Unfortunately,ableism is so well-spread and take for granted that is difficult to notice it in fiction, but it is everywhere. 1) lack of diversity and lack of complexity is always a problem. It’s OK to have disabled people that cannot deal with disability, or that are bitter or angelic, but when every damned character you can see at the movies is either one or the other…well, you may consider building a different character. There are tons of different social backgrounds and they sure as hell shape people as much as disability does, so why consider disabled people as a simple stereotype with a single frame of mind? 2) Using disability only as a symbolic or plot device In fact it’s kind of related to number one. Disabled characters tend to be portrayed as flat, because they don’t count as characters at all. Once, I attended this cinema festival, and many of the movies had disabled characters. The tricky part was that they were only of use as a device for something else: to express tragedy or sadness. I thought in some way these film makers were using as cobwebs and screeching doors in horror movies. Sad but true. I know I’m writing a lot of comments now. I’m doing it because I was silly before and, even though I read your articles, never realized that I myself could write comments until very recently. Sorry. So, anyway, this was mostly a very good article. It’s sad how, even in this modern era, so much popular entertainment can have such harmful themes. However, I have something to question about the article. I know what I’m saying will be controversial, and I don’t have a disability myself, so I’ll make some things clear. Are people with disabilities and diseases as human and deserving of respect as anyone else? YES! Does everyone with a disability want a “cure”? NO! Should a “cure” be forced on someone who doesn’t want it? ABSOLUTELY NOT! My question is, what if someone does want a cure, and the setting is such that it is obtainable (for instance, a high-technology sci-fi setting, or a fantasy setting with strong healing magic)? I believe there are people like that in real life, and there are some disabilities where the negatives outweigh any positives. At least one of those people even wrote a message in the comments section. Even today, there are cures for many things thought incurable in the past. Would it be ableist to feature any kind of cure happening or any character who wants one because their specific disability is that bad, even though those scenarios could exist in real life? Also, another interesting thing is that in another Mythcreants article, “Five Good Ideas Science Fiction Teaches Us to Fear,” you seem to support transhumanism (I support only some parts of it). Well, transhumanism frequently speaks of disability as something that needs to be “cured,” because the idea is that normal human capacity is like disability and needs to be “cured” by transhuman improvements. There is a LessWrong (transhumanist website, basically) article called “Disability Culture Meets the Transhumanist Condition” in which many people state similar views in the comments section. (Not everybody does, including the author of the article and some other commentators). Again, not all transhumanists hold the views I mentioned, but I wonder what you think about this anyway. My personal views have been influenced by what I read. The “reversal test” is about removing status quo bias in the ethics of human augmentation. The basic idea is that if it would be a moral good to remove a decrease in a certain human trait (for instance, if intelligence is damaged by water toxins), then it would likely also be a moral good to safely improve that trait. There was an application to disability in the LessWrong article, that, for instance, if it would be good to give humans a new sense (such as being able to detect magnetic fields or IR and UV light), then it would be good to give hearing to deaf people or sight to blind people. However, there was another argument that for people who don’t have a sense, that brain capacity is used for other functions, so, for instance, deaf or blind people could have other senses that are richer than those of people with all senses and would lose that if they gained hearing or sight. I’m still not completely sure which side I’m on. So wow. This was a lot. I hope I’m not too confusing. Also, I will say again that I DO NOT want to offend anyone and I sincerely apologize if anyone felt that way, because I did not mean it. I was just curious and wanted to ask some questions. I think the point here, as you said, is that not everyone with a disability should be portrayed as someone who wants it gone. Some people will want to lose a disability, especially if the technology is safe and the disability hampers them a lot. But others will be comfortable with their life as it is and not want it changed. Personally, I think someone who just got a disability, for instance through an accident, would probably grasp at every straw to have it removed, but what about a person who has, say, been born without a left hand? Should they absolutley do everything to get one? I don’t think they would. (Neither, by the way, does the story ‘Cookie Cutter Superhero,’ where a girl of sixteen born without a left hand gets the choice to be turned into a superhero and get a left hand in the process, but decides she will become a superhero without a left hand.) Then there’s probably a difference between a physical disability and mental one (even if we presume there is a technology which removes mental disabilities without bad effects, too), even though I can’t be completely sure there. In movies and on TV, you often see disabled characters who go to great lengths to get rid of their disabilities again, but few which show that you can have a good life with one as well. So a few stories which show disabilites not as something to fight against, but as something to accept and live with could be nice. I understand what you mean. The problem is that the article, to me at least, states that ANY portrayal of someone wanting to be cured of a disability, or of any cure, is automatically ableist. For the reasons previously stated, I don’t believe in such an extreme statement. Yes, more shows with characters who can live with disabilities may be good, but I still don’t believe every show needs to be that way if it doesn’t make sense in the circumstances of the setting. I think there’s a similar problem in some of the articles on this site in general. They state that some things should never be done, not taking into account factors such as writer skill and preferences, circumstances, the audience, realism, and so on. While I do agree that a few things should never be done, such as writing a bigoted story (I’m not talking about a story with settings, characters, etc. with bigoted views, I’m talking about when the narrative itself confirms such views), I believe most things can be done well by a skilled enough writer (again, not me!) If the authors did want to limit their audience, say, to unskilled writers, then I think it would be better to state the targets in the article rather than making them seem so absolute. 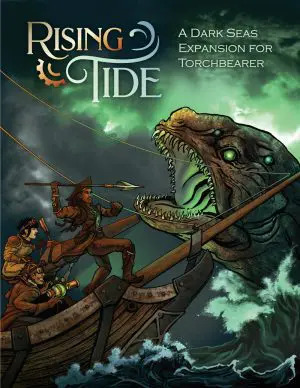 Now, don’t get me wrong, there are many amazing articles on this site that worldbuilders should read. It’s just that, like everything else, they aren’t perfect and can be improved. I see what you are saying about the article implying that ANY depiction of disability must hold to these rules. In their defense, I’m sure that the writers on Mythcreants (like writers everywhere) feel compelled to make their points very strongly and dramatically to keep our tiny attention spans. I was thinking along those lines when I said it may be an exaggeration. I can understand the reasons for that: a lot of depictions in media are truly awful and it’s hard to teach people otherwise. My worry is that some people will take it the wrong way. There is a lot of criticism of “extreme political correctness” and “SJWs” and so on, and while I (mostly) don’t agree with that, sometimes I can understand how people feel when they seem what seems to be a lot of restrictions and they’re worried about offending others. I had to respond to someone like that above. Maybe being more clear will help people understand that social justice is, well, good and not bad. I can’t speak for the Netflix show, but in the comics of the 70’s and early 80’s, Daredevil’s blindness does present him some problems. Yes, he can read a newspaper with his fingers, but he can’t read a screen. He can’t see color. When he’s in a crowd of people, his senses can be jammed and confused in a way that hampers him more than sighted people. True he isn’t nearly as handicapped as a real-world blind person, but it isn’t glorified either. When I joined the army it became obvious that my eyes were garbage – growing up, my eyes were just good enough to get by, I passed vision tests with tricks which I assumed everbody used, I was terrible at ball sports but I just assumed that I was clumsy. – So I got glasses but with a small nose and thick eyebrows they were useless for sport, or physical work. So i got laser eye surgery. Are you saying that if I was a fictional character and my problem was something other than rubish eyes. Than my story would be abalist and shouldnt be published (or am I some other kind of ‘ist’ because I was able to afford laser eye surgery). Oh, the glasses fogged up. To be clear, our position is that stories featuring sensitive topics like characters struggling with disabilities are better left to writers with personal experience with them, because that experience translates to both expertise and sensitivity to the issues involved. If someone without that experience writes them, that does not automatically make the story ableist, but the chance that they would mess up the depiction and alienate the people who do have those experiences would be high. So for those people we don’t recommend taking on those topics, particularly as most of them aren’t prepared to take the time and care that the topic deserves. Ok, there’s the confusion. Much of what is written on this sight comes across as though you’re (plural) saying that if you are not X then you should not write about X. But the rest of it seems to be saying that if you don’t have X and Y and Z and A and B… in your work than it and you are some form of ‘ist’ or phobic. From your reply, it seems the people this article is aimed at are people who shouldn’t be writing anyway. This is a 101 article meant for people who aren’t already knowledgeable about these issues. But considering all the problematic depictions in popular media, that includes most storytellers. It can still be hard to understand what it is like not to be able-bodied and -minded. Especially as it’s also a very personal question. And what it’s like to live with that – since we’ve shaped our world mostly for able-bodied and -minded people. But, yes, research is cool. And as far as emojis go … the more regular ones work here, actually. See? I’m gonna reanimate this post again and say something more about “disability is a great tragedy”… I think it’s usually good advice to stay away from judgment on how bad/good the disability is in writing, BOTH ways. Like, don’t make a story about how having a certain disability is a great tragedy, but don’t make a story either where your character preaches about how totally fine it is to have this or that disability. I have a mental illness that’s caused me, on countless occasions, to experience really horrible things. I’m not gonna go into detail, but picture finding yourself the main character of some sick horror movie. This is BAD. I’m pretty stable now but I’ve had this for thirty years, so it’s unlikely I’ll ever be 100 % normal. But if there were a real cure (there is neuroleptika, but it’s really not as efficient as most people think, and come with various nasty side effects, so you have to weigh the good against the bad), I’d take it in a heartbeat. If you’re, e.g., autistic and thinks you’re not disabled but merely differently abled, and all your problems stem from society’s prejudice and lack of accessability, I won’t object to that, you know your own situation best, but don’t make blanket statements about everyone who’s “neurodiverse”. When it comes to disability, there are such ENORMOUSLY different conditions crammed together under that single umbrella term. No other basis for oppression is QUITE like that. Even comparing two people who are both, e.g., in a wheelchair after a car accident, might be difficult, because if they had very different lifestyles and hobbies before the accident it might affect them very differently. And making blanket statements about disability as a whole, tragic or not tragic, it’s in your body or it’s in society or a combination, etc, – it’s just impossible. Thank you for sharing. I wanted to write the same (but did not feel confident to do it at first as I’m not disabled) – that throwing all disabilities into one bag and giving it a blanket treatement – one way or the other – is the wrong thing to do. It gets even more complicated with mental disabilities and/or disorders. The sheer number and variety of these makes any “en masse” approach to be futile imho. If one wants to write about a disorder, physical or mental, it needs to be done from the writer’s perspective by researching that specific disorder. From the reader’s perspective – the reader needs to be aware that individual people vary greatly in their individual symptoms and personal approach to their ilness. No fictional character in a book, well researched or not, cannot stand and shoul;dn’t be taken as an example of the whole mass of people. In short: If you read about a character with for example dysthymia (aka: PDD), who happens to be jeleaous and charitable, you shouldn’t assume that all people with that disease have such traits, nor that the author is making a statement about the group as a whole. I think that is something we need to be keenly aware of and educate ourselves as readers – see characters as individuals as opposed to figures of one interest group or another. It’s a more recent development in the complex topic of bioethics, and I feel like it pertains to this discussion – what counts as a cure, and how far should a treatment go? Who should be allowed to decide what measures should be taken? Is it ethical to perform these kinds of invasive surgeries on someone who literally cannot say yes or no, or even fathom the meaning of those words? Is a procedure for her parents’ benefit by extension a procedure for Ashley’s benefit, or are we sacrificing Ashley’s wellbeing in the name of her caretakers’ ease? By the way, it’s also a closed case. They went through with it, and now about 60 people worldwide (I think) have gone through the treatment. But I still think it raises some interesting moral questions. Two of my pet peeves regarding disabilities in stories are one that has already been mentioned, the all-consuming desire to be “whole”, and the dream sequence where a disabled people do not have their disability. If I could get rid of my disability (a hearing impairment) I would, as proven by me using the best hearing aids I can get my hands on (including surgery to get a cochlear implant). But if I were given the choice to e.g. have a child OR become fully hearing, I would choose the child. My dream job > hearing. My best friend living closer to me > hearing. That is, though I very much want to hear better, there are many other things I want more in life, and by making the quest to become whole the only driver in the lives of disabled characters, their personhood is reduced and they become less complete and less interesting people. My other complaint is that almost every movie or series featuring a disabled person has at least one sequence, often a dream, where they are not disabled (The Shape of Water and Glee come to mind) and as already mentioned many characters are cured in the end (Mute). This is then used as an argument for not using disabled actors in these roles – they must be able to do this one scene! Also, I don’t think I’ve ever had a single dream focusing on my disability at all (though that certainly doesn’t mean other people haven’t). Thank you so much for leaving this comment. It is probably the best insight I’ve ever read into avoiding ableist tropes without sticking only to abled characters. As soon as I read it I started rewriting a character arc. This is also a really good point. It doesn’t have to be either a) I’m so happy with my disability that I wouldn’t have it cured even if it could be done instantly and without any cost, and b) I’m so desperate to get rid of my disability that I would sacrifice anything to do it. There’s a lot inbetween a) and b). Yes. How much one mourns (for lack of a better word) one’s disability also falls on a similar scale, and both scales change over time. University was very hard and I spent a lot of time sad about not being able to form relationships as easily as other people seemed to. Nowadays I don’t need that as much, and so those particular feelings are much less impactful.